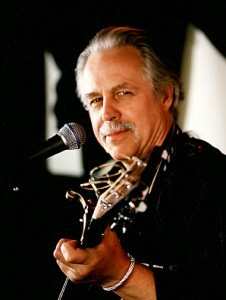 Steve Young is a singer and songwriter whose best known song is “Seven Bridges Road,” which was covered by and became a Top 40 hit for The Eagles. He also wrote “Lonesome, On’ry And Mean”, which became a trademark song for Waylon Jennings, and “Montgomery in the Rain”, which was covered by Hank Williams, Jr. This interview was conducted by phone on 1/5/10, and formed the basis of a preview article for the Steve Young with Van Dyke Parks and David Jackson show on 1/23/10 at the Lobero Theatre. Steve Young passed away on 3/17/16. Jeff Moehlis: Early in your career you traveled around a lot. Steve Young: I am by nature a traveler, a wanderer. My first trip out of the South was to Greenwich Village, to New York City. Which was quite a shock actually, at that time. Later I came to Los Angeles, in 1963. Coming to California was really a big deal to me. It still is, kind of. And that’s where I am now at the moment. I’m hanging out here in L.A. again. I never was a typical Southerner, so it was kind of difficult for me in the South, particularly in the early 1960’s. So, it was good for me to discover some other parts of the country or the world. JM: At Greenwich Village, were you playing in the coffee houses? SY: I tried to. I wanted to. But, you know, I was pretty naive. They said I could play, but it would take a few months. And I said, “I can’t hang out here for a few months, I don’t think.” So I never really did play much there, because there was a time gap. You had to wait around for a while. But I went to some of the places. It was the beginning of the folk days and all that. I saw people like Phil Ochs. I always admired the New England folk scene for their sociopolitical thing. I kind of would like to have been part of that, but I never could quite completely make it work, somehow or the other. Maybe, some people said that I was a little bit too intense or something for that scene. I don’t know. Whatever the reason, I never could quite fit into that. JM: As you said, you later came to California. Why did you choose Los Angeles? It just opened up a whole new world, going across America. New Mexico, for example, made a huge impression on me. Then coming on to San Francisco, and later to L.A. to record… Although I didn’t know what to make of L.A. at that time, and I didn’t know what to do, to stay or go. But I finally went back to the South, and then I just found I was miserable, and I wound up coming back to L.A. and living for quite a long time. JM: Around this time, you met Van Dyke Parks and David Jackson. How did you meet them? SY: I met Van Dyke in 1963, in fact, that year I first arrived in L.A., through Richard and Jim. I think we met at a coffee house down at Hermosa Beach, or somewhere like that. I met Van Dyke at that time, and we’ve been friends ever since. I don’t remember exactly when I first met David, but I know we worked together some on my first [solo] record [Rock Salt & Nails], on A&M [Records]. That began recording in 1968 in L.A. I know he played some on that recording. So these are old, old friends, you know? I look back very fondly on that time. That record I did at A+M is still the favorite record of mine that I’ve ever done. 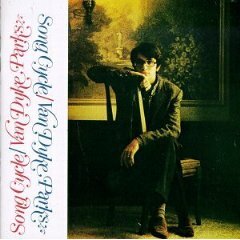 JM: Did you contribute to Van Dyke Parks’  album Song Cycle? SY: Sort of. You know, he did a song that was kind of about me, called “The All Golden.” Then he wanted me to play this little bit part of a folk song in the beginning, and then lead into his song. So to that extent I did participate. Van Dyke and I had hung out and tried to do various things in the Sixties. Different bands, trying to form a group of some kind. It never did quite happen, but we tried to do a lot of things together. He was kind of the leader, so to speak, and a lot of record labels wanted to sign him. And then he would always find some reason not to sign, you know, at the last minute. So it was kind of funny, really. Anyway, we were doing a lot of things in the Sixties, and then he finally did this album Song Cycle. JM: The concert is being billed as Steve Young with Van Dyke Parks and David Jackson. What can we expect to hear at the concert? SY: I’m going to do some songs, then we’re going to do some songs together. They’re going to sort of back me up on certain songs. But then Van Dyke is going to do some songs. I don’t know if he will do some solo, if he’ll do some with David… You know, it’s just going to be a mish-mash of stuff like that. I mean, Van Dyke is really the most famous person [of us]. Originally this started out as my gig, and then we somehow morphed into this idea of doing it together. And here we are. We don’t quite know what we’re doing, but we’re going to do something. JM: You have one show together before the Santa Barbara show, right? Highways” which I’m sort of in a little bit. It’s got Townes Van Zandt, and Guy Clark, and all these guys in it. Then I played a set, and it was a very nice event. Very pleasant to me. Nice audience and everything there at the theater. I’m doing other things around L.A., off and on. I’m just mainly hanging out and seeing some of the old sights, and dealing with the traffic and all that. 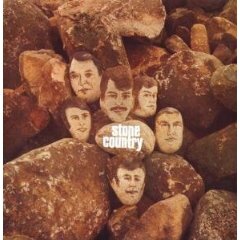 JM: Probably my favorite album that you were involved with is the Stone Country album from 1968. SY: Wow, that’s interesting. I never dreamed that album would ever see the light of day again. It’s amazes me. JM: Could you give your reflections on that album? SY: That was a group of guys that were thrown together, for the most part, with very diverse views of what it should be. So there was kind of an ego battle, and the stupidity of youth, and all that. Richard Lockmiller was in that group, and he was one of the guys from Richard and Jim, so we were old friends. Don Beck, Richard Lockmiller, and I were kind of on the same wavelength. But the rest of the guys were on their own trips. I wasn’t fond of all that stuff. There was sort of a battle going on about “what are we going to be, what are we going to do?” Then, finally, from that recording we did as Stone Country, I had some offers to branch out and just sort of do my own thing. That’s what led to the A&M album. So that’s what I did. But I certainly learned a lot being in that group, as one always does. We did gigs around L.A., and we traveled a little bit to do some gigs other places. It is what it was. I just never expected to see this stuff resurface. Things have a way of resurfacing, you know, that surprises you sometimes. JM: You’ve already touched on this, but why did you go solo after Stone Country? SY: Because I just wanted to do my own thing without interference, so to speak. That’s just my nature. That’s one reason I’m not, in fact, more successful, because I just want to do things on my terms the way I see fit. I’m a true artist, you know? I don’t want people to interfere with that. I just want to be able to do it, for better or worse. In fact, today I like being a very independent, low-key kind of artist. Any recording I do from now on will be my property. I will own it. I won’t deal with the labels. I won’t deal with any of that stuff. I just do my thing, whatever I can do. If I do any new recordings, they’ll be mine. JM: You’ve mentioned your first album. That’s somewhat notable because people like Gram Parsons made appearances. 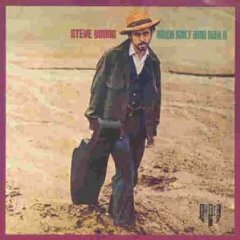 SY: [The Flying Burrito Brothers] were finishing up their album The Gilded Palace of Sin, as I came in. This was done at the old A&M Studios at La Brea and Sunset, what once had been a Charlie Chaplin movie studio. That album sounds so good. It was probably done on a 16 track, 2 inch tape. I don’t know, it was just well recorded. Tommy LiPuma was the producer, who’s a very excellent producer. I just thought it was a very well done recording, itself. Gram played a little bit on it. He lended a lot of moral support to me, really, about what I was doing. He liked it. Then some other guys from that country rock scene that was sort of forming then played on it, too. Some of what were or were going to be The Byrds were on that recording, did little parts on that record. JM: Did you return the favor and play on any of their albums? SY: No, I don’t think I ever did. I don’t think that ever came up. Gene Clark – he did some stuff [on Rock Salt & Nails] – once much later Gene and I and Carla Olson did a gig together. But I never did work on any of their recordings. SY: Yeah, there’s no doubt. That song is famous. I mean, I’m not, but the song is. JM: I’ll admit I first heard it from the cover by The Eagles. JM: What’s the story behind that song? SY: It surprises some people. There was a road that led out into the countryside outside of Montgomery, Alabama. And I lived in Montgomery for a while in the early 1960’s. I formed a few close friends there who very different than the mainstream of Montgomery. They used to tell me about this road that they called Seven Bridges Road. I thought they had made up the name, because as you went out into the countryside the road became this dirt road, and you crossed seven bridges, and then it was almost like an old Disney scene or something, with these high bank dirt roads and trees hanging down, old cemeteries, and so on. It was very beautiful, you know? And on a moonlit night it was exceedingly beautiful. So I found out later that the road had been called that for a long, long time. A lot of people over the years had been struck by the beauty of the road, and the folk name for it was Seven Bridges Road. So I wound up writing this song that I never dreamed anybody would even relate to, or understand, or get. And I still don’t understand why it was so successful, actually. But, anyway, it was. 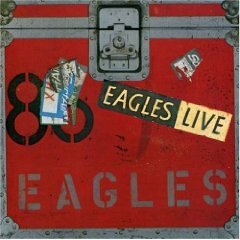 The Eagles, I think, formed their arrangement from a version by Iain Matthews, who’s a great arranger. He did a version of that song, once upon a time. JM: Did The Eagles contact you at all, or did you just get the pleasant surprise of royalty checks coming in? SY: They didn’t contact me, but oddly – not that I really knew him – Dan Fogelberg once told me that they would do it. I have to wait and see something before I really believe it. But then one day, sure enough, there it was. It came out first on vinyl. There it was, on The Eagles Live. They closed their show with the song, and therefore it was on that album. That was the original release of it, and it was the only new thing on that album so it got a lot of attention. JM: Well, hopefully you earned a lot of money from them covering it. SY: Yeah. It enabled me, it helped me, since I live kind of low-key anyway, to do my artistic little thing. JM: Another of your well-known songs is “Lonesome, On’ry And Mean.” What’s the story behind that song? SY: Waylon Jennings gave some fame to that and used that image, which is a funny image, you know? That became a big trademark of his, and it helped him to cross over into something a bit broader than country music, which he certainly did not completely fit into. JM: Is that song based on true events? SY: Yeah, well kind of, sort of. You know, all songs are a combination of truth and fiction, I think, just like most writing of any kind probably is. JM: Do you have any favorite cover versions of your songs? 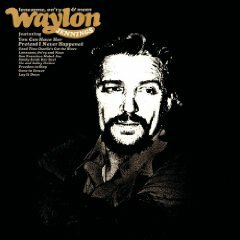 SY: I do love Waylon’s version of “Lonesome, On’ry And Mean.” I mean, I’m always interested in other people’s versions of songs, regardless of whether they’re good or bad. I’m interested in hearing what they do. I’m always interested in interpretation, somebody who interprets something and gives it a unique touch. Now some people just copy something, you know. I certainly think The Eagles’ version of “Seven Bridges” is good. It’s different than the way I’d do it. Iain Matthews’ version is excellent. There are people like Joan Baez, Rita Coolidge, they all did good versions of the song. But I’m just in open-minded. I mean, I take liberties when I interpret a song, and I think that artists should have that liberty. It’s like an actor doing a part. I just am always curious about how they hear something. I like it when they interpret, you know? JM: You also do covers of other people’s songs. How do you choose which songs you want to cover. SY: It has to be a song that I feel I can really live, that I can really feel and make mine, so to speak. And it may take me a long time to digest that song, and really get it where I want it to be. You know, I keep fooling with it. It can be a long process. I’m proud of my interpretations. I think they stand up very well, and I think they are unique. JM: Can you describe your connection to the Outlaw Country movement in the 1970’s? SY: Well, that phrase is kind of, I don’t know, like all these phrases, you know, it’s sort of like true, it’s sort of not true. I mean, I was, and am, a true outlaw in that I’m an artist. I do my thing, regardless. Really most of what became known as the Outlaw Movement became a very commercial, and sort of distasteful thing to me personally. I mean, the macho image, the whatever… it sort of got out of hand there, I think. It’s always like, “Which came first, the chicken or the egg?” Who started what? Well, Gram Parsons probably rightly deserves the title of being the pioneer of country rock. But then you look back, there were always hints of this, even in some of Hank Williams’ music. And then there was the Sun Records thing, which was totally amazing in the 1950’s. So, I mean, people have all these opinions, and throw around all these terms, but it’s all a matter of opinion in a way. Or somebody making history the way they want it to be. You can’t really know these things. As far as the official Outlaw Movement, let’s say Waylon and Willie and all that, well certainly I was some influence on that, yes. As I was an influence on the early days of country rock in L.A. But I can’t say exactly what happened when, and who did what, you know? JM: What are your plans for the near future? Is there a new album in the works? SY: I need to do some recording. I’ve gone around and around in circles. I have a good live recording that’s relatively new. But I’ve realized that I’ve just become too much of a perfectionist, and I have to get off of some of that and just go finish some songs and do some recording. And just accept it, rather than looking for this ultimate perfection that I’ve been doing for a few years now. JM: What advice would give to an aspiring songwriter? SY: Become a dentist [laughs]. You know, go to dental school. That’s just my joke. If you’re a true writer, then you’ve got to write. My real opinion is you should do it, and if you don’t make any money from it, try to have a backup plan and just try to see what happens. Because it’s probably tougher than it has ever been. The music business itself is pretty low-key, let’s face it. So, I think you have to be a little crazy to do it. It’s really an unknown. Just like acting, there are a few people who actually make a living doing it. But again, I don’t want to deny anybody their expression or their art. You should try it, you should do it, if nothing else for yourself and a few friends. Just do it and see where it goes. If it goes nowhere, you still have the pleasure of doing it. SY: He did? Wow, that’s cool! SY: Boy, could I ever say the same thing? It sounds like we have a similar story. I was my own worst enemy in the music business itself. I was just lucky to have any degree of success doing anything. JM: Do you want to set the record straight on anything? For example, Hank Williams Jr. claimed that “Seven Bridges Road” was about the road to Hank Williams’ grave. SY: Well now this is not true, but it’s not totally false, and I can explain this. Seven Bridges Road went out into the countryside, away from Montgomery. Now, Hank Williams’ grave is over in the middle of Montgomery in an old cemetery. But, here’s the factor that lends a little bit of truth to that. Sometimes when we would go out Seven Bridges Road, we would come back into town and the last thing we would do would be to go by Hank Williams’ grave. So, in that sense, there’s a little truth to it. But the song was not specifically about going to Hank Williams’ grave. No, that is not true. SY: Yeah, that does refer to going to Hank Williams’ grave. In those days, you could go to his grave at two or three-o-clock in the morning, which we often did. We would drink, or whatever. Respectfully. We didn’t throw junk or trash around. But we did it in fact in the spirit of songwriting and music, as sort of a… I don’t know what you would call it, a mystical thing, or whatever. I don’t know. But, it was just symbolic. JM: Where are you headed next after L.A.? SY: I’m going to go to Oklahoma to see my granddaughter, then my son, Jubal Lee Young – who by the way has some good writing and recording going on – and I are going to do a gig in Oklahoma City, and we’re going to do one in Baton Rouge. Then I’m going back to Nashville, back to my home base, so to speak. I’m also going to hang out some more in Texas, probably. I don’t know if I’ll do any gigs there this time. I did on my way out. I kind of like to work my way across. JM: So you’re still a wanderer, it sounds like. SY: I’m a wanderer. I always will be, as long as I’m physically able, yeah.